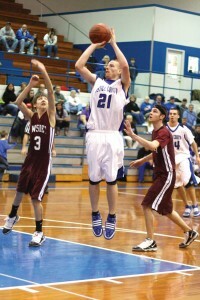 Estill’s boys closed out a disappointing season with three straight losses last week. ays, the Engineers fell to Owsley County 60-49 on Wednesday; Menifee County 77-59 on Thursday, and Western Hills 73-57 on Friday. The Engineers took a record of 4-22 into action against Owsley County on Tuesday, in the opening round of the district tournament.